TYLER, Texas - Aug. 8, 2018 - PRLog -- Four-time World Champion and Pro Rodeo Hall of Famer Tuff Hedeman announced today that tickets are on sale to The Nicky Wheeler Memorial Bull Bash, a Tuff Hedeman Breakout Series Bull Riding. The Nicky Wheeler Memorial will pay tribute to an industry great, former bull rider and stock contractor who died suddenly in April. Formerly known as the Bull Bash Revolution, the name was changed this year to honor a great man. Nicky devoted his life to helping kids in FFA and 4H chapters statewide. The Wheeler family owns Fresh Country Fund Raising, a statewide fundraising company supporting 4H and FFA chapters nationwide. 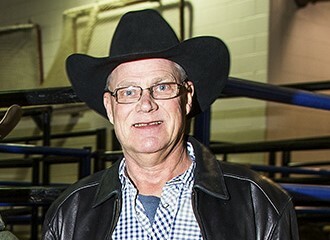 Nicky Wheeler is remembered as a "great guy", dedicated father and husband, a superior bull riding judge, a bucking bull man, rodeo producer, and talented fundraiser, but first and foremost a bull riding champion. "Nicky was a great bull rider regardless of what era it is - there are very few people that go to the NFR and ride 9 out of ten," said Wheeler's friend and colleague Tuff Hedeman. "Nicky treated everyone like they wanted to be treated and that is why we decided to change the name to honor him and his legacy," said Jeff Harris. "I didn't know him until after I won my first world title, we had some bull riding schools in his arena and I got to know him there. He is a super guy, super Dad, and anytime I could get him to judge I would - he judged in Fort Worth, Lufkin, and Bossier, but his kids were always first on his schedule and priority list and to be part of an event that honors his legacy while helping kids is a great way to honor our friend," continued Hedeman. The two round annual event will be held on October 6 at the Jacksonville Rodeo Arena where the bull riders will compete for prize money and a custom engraved Hy O Silver Trophy Buckle. This year's event will once again be produced by a host of dedicated volunteers including previous Stock Contractor of the Year and World Champion bull team owner Jeff Harris and family of Palestine and Haley and Brian Beasley of Jacksonville. The newly created tour gives new riders the opportunity to break into the ranks of professional bull riding and advance to the national level tours. "What I really like about the Breakout series is we see relatively unknown young bull riders that show up and make outstanding bull rides and contend with the hottest guys on tour and hang with them," said Hedeman. Classic rodeo barrel man style entertainment, cowboy lifesaver bullfighters, and the voice of the Tuff Hedeman tour, Chris Rankin, will join Hedeman in front of the chutes as he surveys the new class of young guns as they battle the experienced contenders. "It is our privilege to honor Nicky Wheeler in this way and it is great chance to come out and see Tuff Hedeman and the high-quality competitors and bucking bull athletes. We will have several of the top familiar names on the roster, but many fresh faces packed with talent, at a family-friendly environment, " said co-producer Haley Beasley. For More information and tickets visit Nicky Wheeler Memorial Bull Riding (https://www.eventbrite.com/e/the-nicky-wheeler-memorial-b...) or by calling Haley Beasley, 903-747-7199. TICKETS AVAILABLE: Raven Jute Company, 107 E Commerce Street, Jacksonville, TX 75766; https://www.eventbrite.com/e/the-nicky-wheeler-memorial-bull-bash-tickets-48716784213.